My Life and Activities here in KSA..: An Act of Terrorism or a Criminal Act?? 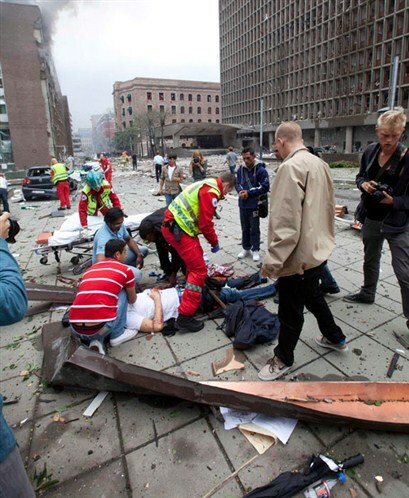 Debris is seen on the street after a powerful explosion rocked central Oslo on Friday. A huge explosion damaged government buildings in central Oslo on Friday including Prime Minister Jens Stoltenberg's office, injuring several people. 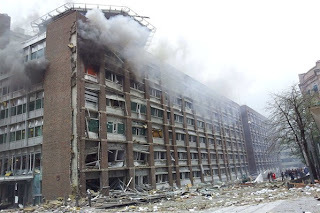 The blast blew out most windows on the 17-storey building housing Stoltenberg's office, as well as nearby ministries including the oil ministry, which was on fire. A government spokewoman has confirmed that Prime Minister Jens Stoltenberg is safe.